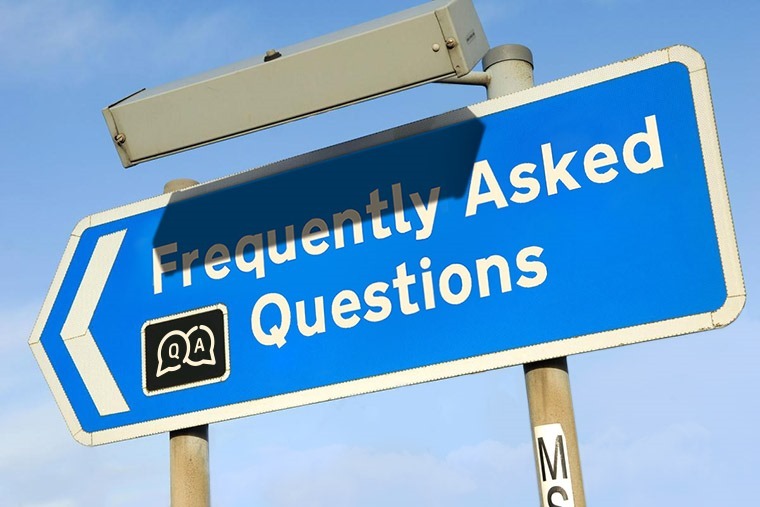 Below you’ll find some of the most frequently asked questions we receive about car leasing, contract hire, and related issues. What is a personal contract hire agreement? Is it a good idea to lease a new car? Do you advertise ‘no deposit’ lease deals on Leasing.com? What's the difference between an ‘in stock’ deal and a 'factory order'? Is insurance included in a car lease deal? Can you get car insurance if you’re not the registered owner? Can you lease a second car? Is road tax included in a car lease? Is servicing included in a car lease? What does it mean by customer initial rental? Is there a mileage limit on a car lease? Can I amend the agreed mileage part-way through a contract? Who supplies the lease car? Is delivery and collection included in a lease deal? What if the car gets damaged during the lease? What happens if my lease car is written off? What lengths of contract are available? Can I exit the lease deal early or transfer a lease to another person? What is a personal contract hire (PCH) agreement? A personal contract hire (PCH) agreement involves you signing a contract to lease a car for a fixed period of time at an agreed monthly cost. For private leasing (for individuals) that means cost-effective and flexible motoring which often works out as being cheaper than other forms of finance such as personal contract purchase (PCP) and hire purchase (HP). What is the difference between contract hire (PCH) and personal contract purchase (PCP)? With both PCH and PCP agreements, the finance company owns the vehicle throughout the lease. As the name suggests, the lessee is merely hiring the car for a contracted length of time. At the end of the lease, the vehicle is handed back to the finance company, whereas those taking out personal contract purchase (PCP) deals will have the option of buying the car outright at the end of the lease. A full guide on PCP is available here. A guide on Hire Purchase (HP) is available here. As oil baron JP Getty once stated: “If it appreciates, buy it. If it depreciates, lease it.” With this in mind, it helps to realise that cars are historically one of the fastest depreciating commodities you can own, with huge amounts disappearing off its value the moment you drive it away from a dealership and even more being obliterated one year into ownership. Leasing helps negate this, with your fixed monthly cost essentially ‘paying off’ any depreciation on the car. The more residual value a car keeps, the cheaper it is to lease which is why you can often find the best lease deals on more premium manufacturers, such as Mercedes-Benz. We don’t advertise ‘no deposit’ lease deals, although you can find lease deals that are available with a one-month initial rental, this means you pay the same monthly price throughout the deal. Here’s all our one month initial rental deals. If a deal is advertising as ‘in stock’ this means that the vehicle in question doesn’t have to be built to order and is ready to go, so delivery should be faster. They’re a great option if you don’t want to wait for a car to be built, although you may have to be flexible when it comes to specification and colour options. Here’s all our in-stock deals. No. Because the cost of insurance can vary wildly between drivers, it is impossible to accurately factor in insurance costs with our monthly lease rates. Luckily though, insuring a lease car is no different to getting any other car insured, so shop around for the most suitable quote for you. This is essentially how insuring a lease car works. When you are looking for a car insurance quote on a lease car one question from the car insurer will ask if you are the registered keeper and legal owner. At this point you would click ‘no’ and fill in further details about the company you are leasing from. Yes you can lease multiple vehicles, providing you pass the relevant credit and affordability checks. Please be aware that this might severely impact your credit rating and ensure that you can afford the monthly repayments on leasing more than one car before enquiring. Road tax, or Vehicle Excise Duty to give it its proper name, will normally be included within the price. All lease agreements should include road tax either for the duration of the contract or for the first 12 months. Please note, if the cost of the tax increases during the lease agreement, you may be liable to pay the amount of the increase. Always check your contract. Is servicing and maintenance included in a car lease? You can choose deals with servicing included, although not all lease companies will offer this. If the deal does come with maintenance, the lease company will pay for all servicing and scheduled maintenance, but some consumables such as tyres and windscreen wipers may not be included. If the deal does not have maintenance included you will have to pay for servicing. The terms and conditions of the lease may stipulate that this is done at a franchised dealer or manufacturer-approved service centre. As the car is likely to be under warranty for the duration of the lease, any faults will be repaired under warranty and you may be able to purchase a servicing package. A full guide on maintenance can be found here. What does initial rental mean? This means how many months upfront you can pay as you initial rental on your choice of car lease. So if you were looking at leasing a car for £199.99 per month and the deal states that the initial rental is six months you would pay £1,199.94 in the first month, outside of any additional fees. Yes. All the deals advertised on Leasing.com have a mileage limit, and there will be an excess mileage charge for exceeding this. It is therefore important that you are realistic about the number of miles the vehicle will cover when you take out the lease. Choosing wisely will save irritating and potentially expensive surcharges. This should not be a problem. You will need to contact the leasing company concerned to arrange an alternative agreement, but this will usually mean altering the monthly payments. As responsible lenders, FCA-regulated companies and signatories to the Leasing.com Code of Conduct, our advertising partners have to perform a credit check before completing a lease agreement. This is necessary to protect both you and the leasing company. We can’t comment on individual cases, but those with poor credit may find it harder to be accepted. If you are unsure, the best course of action would be to find a deal you like, contact the advertiser and explain the situation. Here’s our full guide on leasing with poor credit. All the lease deals you’ll find on Leasing.com are offered by our advertising partners, including dealers and brokers nationwide. Thanks to our wide range of advertising partners we are able to introduce you to millions of competitive deals from some of the UK’s most reputable leasing dealers and brokers. Yes. All our advertising partners offer vehicle delivery to UK mainland addresses. If the windscreen of your leased car develops a crack or chip, the options open to you depend on your leasing agreement. Some agreements, but not all, will cover the cost of replacement glass. If you have repair costs covered as part of your contract, then all you need to do is contact the company who you leased the car through and they will provide you with a list of preferred suppliers. From there it is up to you which one you use. If your lease agreement stipulates that you have to cover windscreen repairs yourself, it is worth checking your car insurance as many fully comprehensive policies cover the cost of windscreen replacement. The vehicle is your responsibility. Please take care of it. During your time with the vehicle, it must be used, maintained and looked after according to the manufacturer’s guidelines. At the end of the contract minor damage such as small stone chips and bumper scuffs are unlikely to be an issue under the ‘fair wear and tear’ clause found in lease contracts. But more severe damage will need to be fixed by an approved repair centre. A full guide on fair wear and tear can be found here. What happens if my lease car is written off or stolen? If a leased car is stolen or written off the insurance company will negotiate directly with the leasing company. Different companies have varying policies. We recommend that you check with the company concerned. You may want to consider Guaranteed Asset Protection (GAP) insurance, in case the insurer won’t pay out enough to cover the outstanding finance. A full guide on GAP insurance can be found here. The minimum term for a contract hire agreement is 12 months, with deals on Leasing.com stretching to as long as 60 months (five years). Yes, this shouldn’t be a problem, just check with finance company providing the vehicle first. Make sure that you have their agreement and confirmation that they will transfer the number back to you at the end of the agreement. You can exit a lease agreement early, but not without financial penalty. Should you need to exit the deal early, just contact your lease company and request an early settlement figure, but you should expect to pay between 50% and 100% of the outstanding payments. A lease transfer is when you wish to exit the terms of your lease and rather than terminate your contract and pay the fees, you transfer it over to someone else who carries on paying the monthly payments. You’ll need to check with your lease provider whether a transfer is permitted. A full guide on lease transfer can be found here.